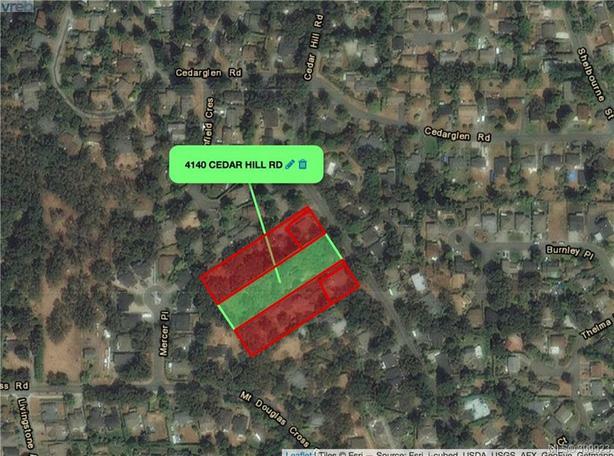 We are proud to present a full acre property located on Cedar hill Rd in a beautiful park like setting. This large property has dual zoning and several options for the savvy builder. Neighbouring properties have panhandled their lots creating two single family parcels while still retaining the large rear property and the ability to build a large modern home. Current RS-10 zoning On front half and RS18 on back half of the property. Potential to subdivide the rear RS18 portion in an assembly is also an option or keep the entire property for yourself and build your dream home.Perfectly situated only minutes to Mt. Doug Park, UVIC and the soon to be redeveloped University Heights shopping centre. Home sold as is. Please contact agent to set up a viewing. *Please indicate that if you are working with a realtor when inquiring, thank you !